Here, in this article, you would know about the MD5 algorithm, MD5 generator and why this crucial component is essential for security. So, read till the end and I hope you get the information what you want. The MD5 algorithm is launched by a Ronald Rivest in 1991 and is abbreviated as message digest algorithm 5. After the formation of the MD5 algorithm, it makes near impossible to hack your password. The MD5 algorithm is a one-way cryptography function through which your input term such as number, alphabets would change in a hash code like any combination of random letters. This technology is basically launched to protect the password from an unauthorized person. The length of output is fixed (128-bit code) therefore, it did not depend on how long you enter a data. Everyone has some sort of personal information stored on the online platform & is to keep them safe is our first priority. MD5 algorithm provides full relaxation by providing its powerful features of protecting. The password you are going to encrypted must be strong so that it is difficult to decrypt. It is almost impossible to decrypt a code if the password is strong. Otherwise easy Md5 hash encryption code easily decrypted by an online software and this may cause in loss of your important information. 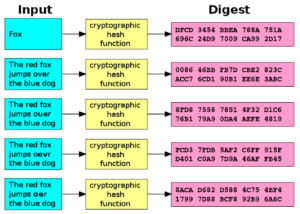 MD5 hash decrypt is the art performing through online software for decrypting an encrypted code. There are many online platforms offering the opportunity of decrypting the code. But, according to my perspective it is nearly impossible to perform this task. Kitsoul (Web development Company in Lahore) is here to provide the services of MD5 generator through which you can easily get the encrypted code from us. We have a large experience in this field and knows how to deliver the best work to their customer. The MD5 Generator is a basic need of everyone, due to this we bring for their beloved customers. Other services that we offer are Search Engine Optimization, Web Designing, Social Media Marketing, Pay Per Click Campaign.